In 2013, Call2Recycle Canada collected 3.7 million pounds (1.7 million kilograms) of batteries–the most batteries collected in one year by the organization. The company has collected 13.2 million pounds (6 million kilograms)—or the weight of 880 large African elephants—since the program started in 1997. What lies behind this steady growth? One could guess provincial mandates or a growing interest in recycling by consumers and they would be correct. But behind this growth also lies a nationwide recycling program tailored to the unique needs of Canada. The seeds for success were planted in early 1997. The U.S. Battery Act was in full ‘go’ mode. States were busy putting recycling plans into place, and Call2Recycle (then known as the Rechargeable Battery Recycling Association or RBRC) was asking battery manufacturers, product manufacturers and major retailers to support a nationwide battery recycling program. Canada did not have a legislative imperative to start a national battery recycling program. However the Canadian Household Battery Association (CHBA) was closely watching the trend and saw how U.S. companies—many of which had subsidiaries in Canada—were embracing the program. The association decided to act. In January 1997, CHBA member Susan Antler proposed that CHBA partner with Call2Recycle to start a similar collection and recycling program in Canada. By March, Call2Recycle Canada had been incorporated as a subsidiary of the U.S. company with Antler at the helm. The original vision was to bring the U.S. recycling program to Canada. However, the team quickly recognized that the program had to be tailored to the Canadian market. 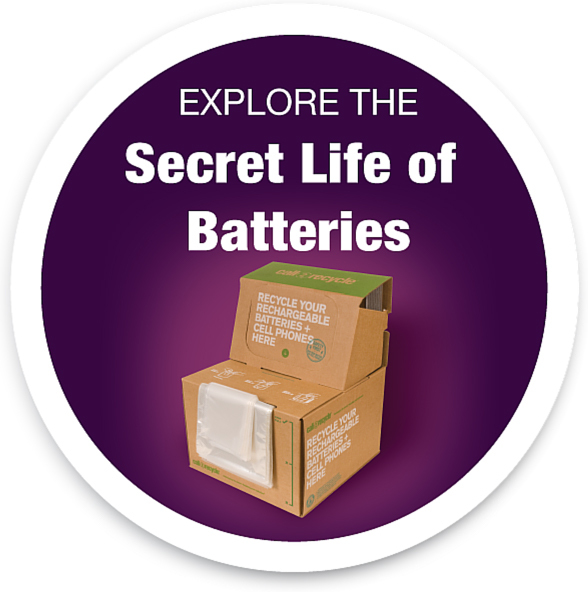 The team tweaked its marketing programs to encompass all-battery (primary, rechargeable) collections in all Canadian provinces and expanded its Canadian government relations program. By 2001, 13 prominent Canadian retailers had joined the Call2Recycle recycling effort as collection sites. Call2Recycle worked with each company to develop a consumer-friendly plan to collect, transport and recycle portable rechargeable batteries under 5 kilograms (11 pounds). Now, Canadian participating retailers include Best Buy, Canadian Tire, London Drugs, Lowe’s, Rona, Staples, The Future Shop, The Home Depot and The Source to name a few. To further promote the program, two new websites were launched: www.call2recycle.ca for English-speaking Canadians and www.appelarecycler.ca for French-speaking Canadians and partners. To keep recycling as much as possible within Canada, Call2Recycle partnered with Canadian processors such as Newalta to handle the recycling of the batteries. Laurentide Re-Sources and Retriev Technologies (formerly Toxco) were added as collections climbed. Over time, the recycling program also expanded to meet the changing battery types found in electronic devices. In addition to Nickel Cadmium (Ni-Cd), Call2Recycle Canada added recycling for Lithium Ion (Li-Ion), Nickel Metal Hydride (Ni-MH), Nickel Zinc (Ni-Zn) and Small Sealed Lead Acid (SSLA/PB) rechargeable batteries. On Earth Day 2004, Call2Recycle began recycling cellphones as well. By 2007, Call2Recycle Canada was ready to celebrate its success. For its 10-year anniversary, the company kicked off a year-long tour, including a radio media tour across the provinces featuring Hockey Hall-of-Famer Guy Lafleur advocating battery recycling. Steady growth in collections continued. Canadian provinces were recognizing the benefits of responsible battery recycling. Between 2005 and 2008, collections in Canada rose by an annual rate of more than 50%. In 2008, both Ontario and British Columbia approved mandatory product stewardship legislation. In 2009, British Columbia’s (BC) Ministry of the Environment chose Call2Recycle to facilitate the first government-mandated consumer battery collection and recycling program in North America. Between 1997 and 2009, more than 220,460 pounds (100,000 kilograms) of rechargeable batteries were voluntarily recycled with a collection rate of 24%. Nearly 1,200 retailers, municipalities, businesses and public agencies served as collection sites throughout BC driving the program’s success. In 2010, the BC recycling program was expanded to include all household batteries—also a first in North America. During this time of change, the organization named Joe Zenobio the second executive director of Call2Recycle Canada. He was responsible for the rapidly expanding provincial all-battery—primary and rechargeable–regulatory programs of three Canadian provinces—British Columbia, Manitoba and Quebec plus the nationwide voluntary recycling program. In 2012, for the first time ever, Call2Recycle Canada collected more single-use batteries than rechargeable in Canada, a notable shift in the battery recycling landscape. In late 2013, Call2Recycle Canada was selected as the preferred provider for all-battery recycling for Canada’s federal government, including government agencies, departments and military installations. The steady growth in collections stands as a testament to the commitment of CHBA and Call2Recycle to spread the word about battery recycling throughout Canada. At the end of 2013, the three regulated provinces—British Columbia, Manitoba and Quebec—collected almost 1.4 million pounds (625,000 kilograms) of batteries—an increase of 87% collectively over the previous year. The remaining provinces increased voluntary collections 72% over 2012. Because of this growth, Call2Recycle Canada continues to be the leading battery eco-steward in Canada, with 91% of the population living within 15 km of a collection site.